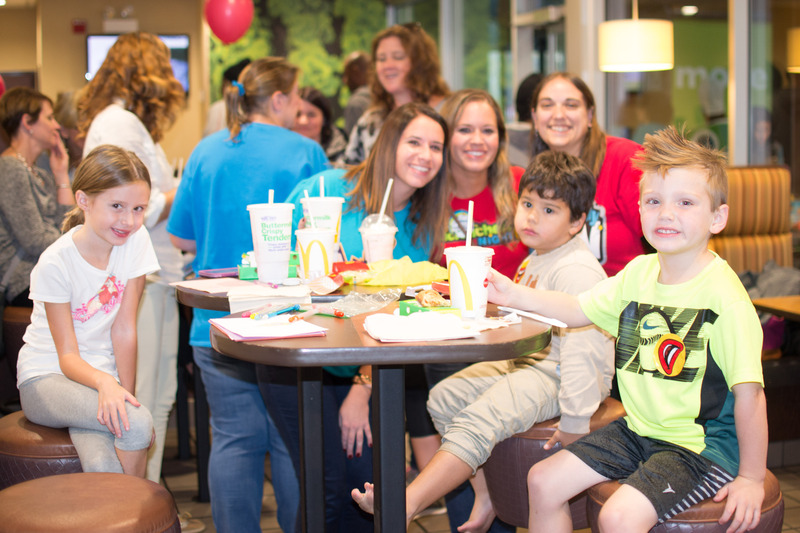 Westchester Primary and Intermediate Schools in District 92 1/2 held its annual McTeacher’s Night on Wednesday, October 18th at the Westchester McDonald’s on 31st. 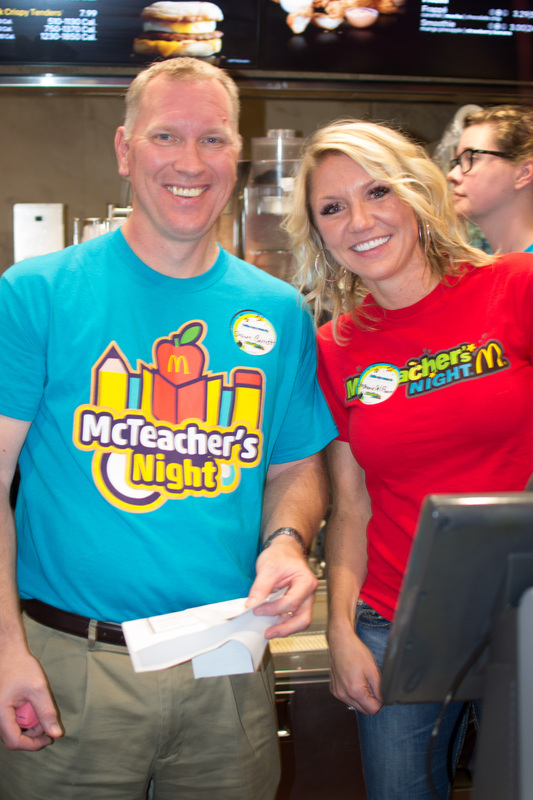 St.
A McTeacher’s Night is organized to help raise money for local schools by having teachers and staff work at McDonald’s and then giving a percentage of the night’s sales back to the local school. 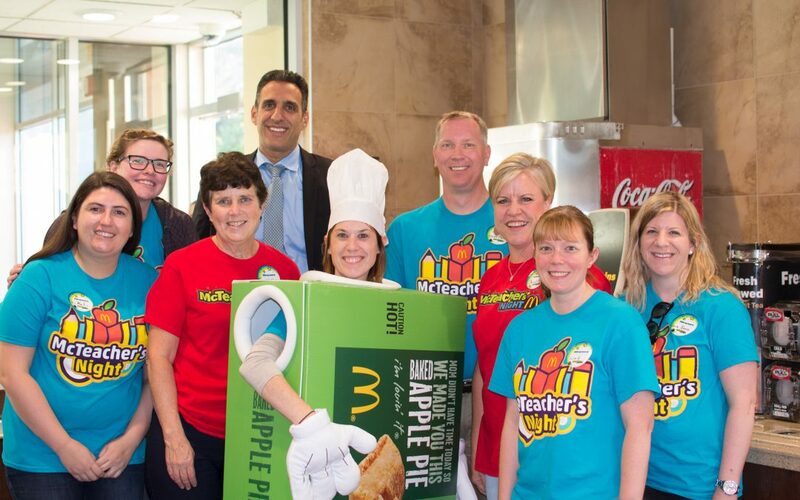 On October 18th, the restaurant was taken over by teachers and staff members from Westchester Primary and Intermediate Schools, excited to serve freshly prepared meals to students and their families to raise money for WPTC. 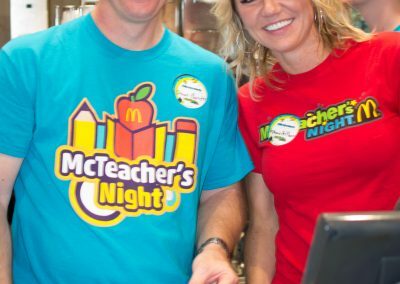 There were 19 teachers/staff who worked from the school including Principals Shawn Barrett and Stephanie Del Fiacco who volunteered the entire night. 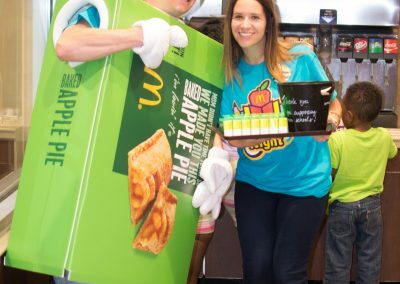 The McTeacher’s jobs included greeting guests, cleaning the lobby, working the front counter, serving drinks, clearing tables, selling apple pies and even dressing up as an apple pie. 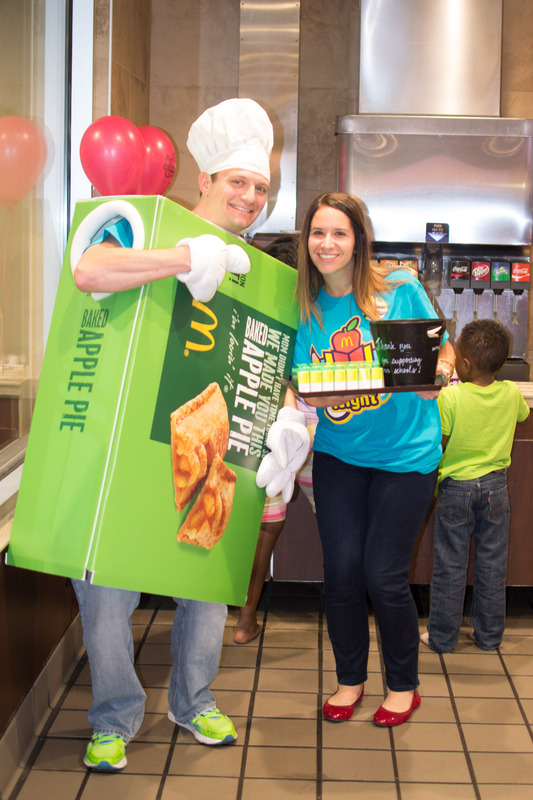 A Special thank you goes to Sarah Macolm and Brian Collins who volunteered to dressed up as an apple pie while families donated funds for their own delicious pie! Thank you to PTO representative Tammy Flynn who organized the event. Westchester Primary and Intermediate Schools’ teachers and staff worked hard and with excitement, while the families enjoyed a spectacular evening. Westchester Primary and Intermediate Schools plan to use the money raised for celebrations and parties for their students. They raised over $1,200 at the event. 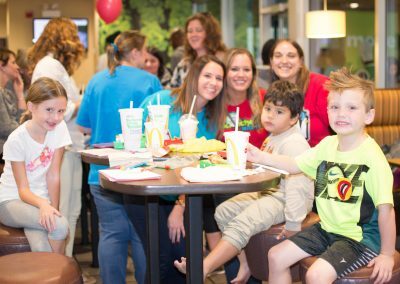 For more information about events provided by the Westchester McDonald’s contact Community Relations Director Julie Travers at julie.travers@comcast.net.